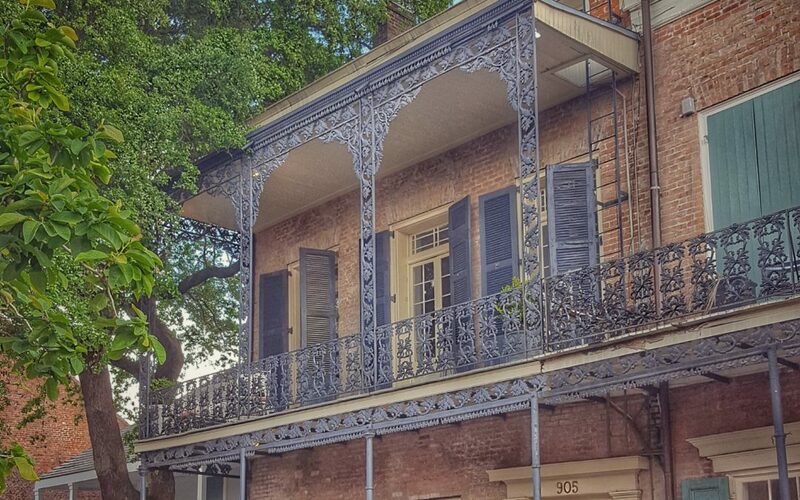 Join us for the 2017-18 At Home in the Vieux Carré Season to celebrate 300 years of life in New Orleans’ first neighborhood! At Home Season Finale with the Raines Family! Please join us for the final At Home in the Vieux Carré of this season! We’ve got a gorgeous house, perfect spring weather, a full menu (including homemade brisket! ), wine and bubbles, plus a specialty cocktail from our friends and neighbors at Bar Tonique. 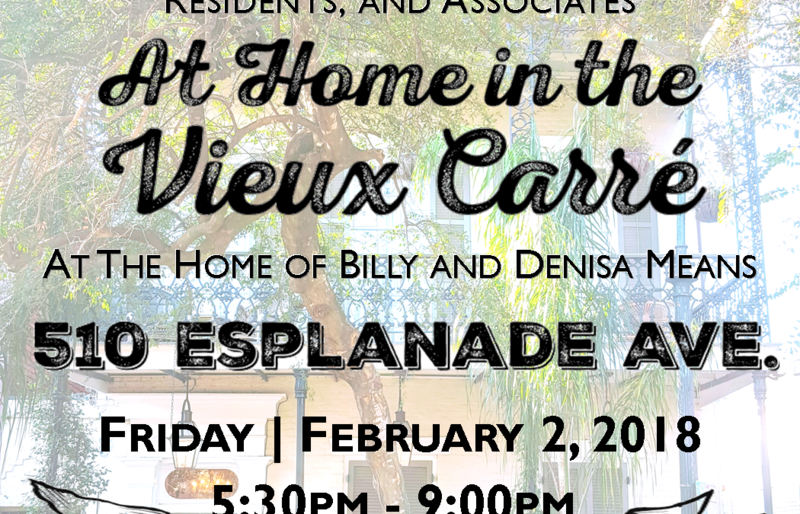 At Home in the Vieux Carré: Carnival Edition! Kick off the Carnival Season in style at this festive and fabulous home, which is quickly becoming one of our favorite Mardi Gras traditions! 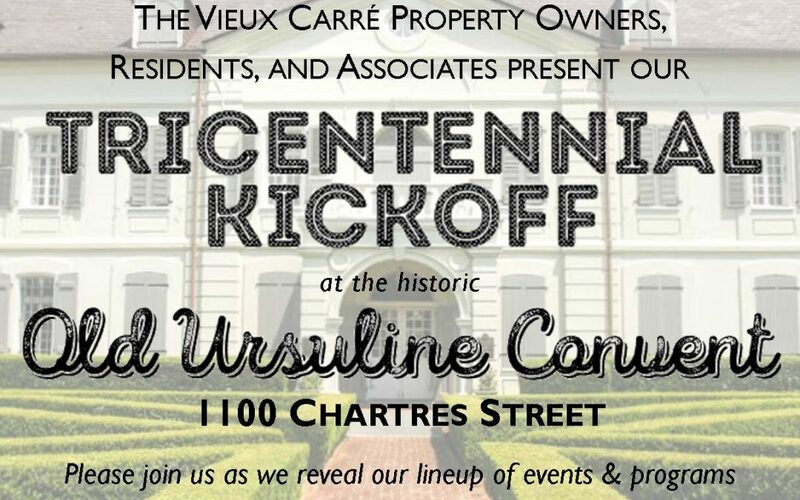 Join us this Friday, January 12th, at the Old Ursuline Convent as we reveal our lineup of events & programs celebrating the 300th birthday of New Orleans’ first neighborhood! 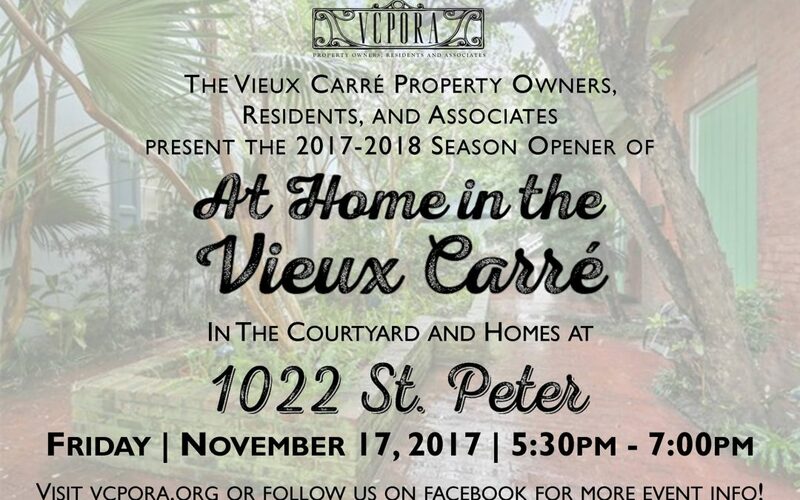 At Home in the Vieux Carre 2017-18 Season begins THIS Friday, November 17th!